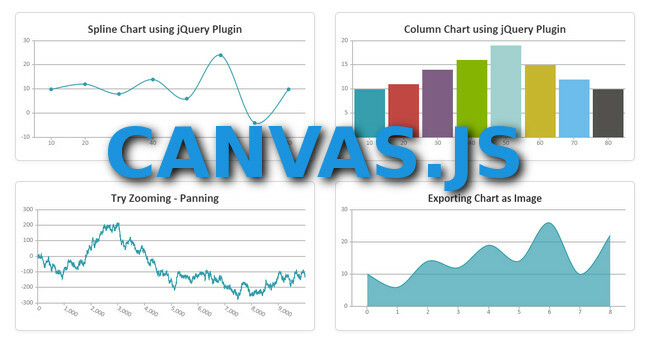 CanvasJS is a beautiful charts plugin for jQuery. The jQuery Charting Plugin creates interactive charts from different data sets in a webpage with very few lines of code. It includes dynamic updates, events, zooming, panning, exporting as image, etc. It can handle tens of thousand of data points without any lag. It also comes with jQuery UI integration. Quick Start Guide will cover all commonly used features in just around 10 minutes. A Gallery includes all the beautiful themes, features and capabilities of CanvasJS. Also check out charts created using our jQuery Charts Plugin . CanvasJS is free for non-commercial and paid for commercial use.